Low budget vacation in Austria is for those who appreciate traditions and culture, picturesque scenery and delicious cuisine. This country is home to many great composers and musicians, such as Franz Peter Schubert and Franz Liszt. Austria has plenty of great resorts. People here are very friendly and hospitable. Thanks to our website a low budget vacation in Austria can become true! 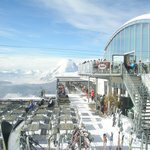 There is a huge number of ski resorts in the country due to the fact that Eastern Alps cover 62% of the territory. This is the reason why the Austrians are so fond of winter sports. The Krimml Waterfalls, on the Krimmler Ache river, are the highest cascade of waterfalls in Europe. 90% of the Austrians are Roman Catholic. Sigmund Freud, the father of the psychoanalysis, developed his ideas, nursing a cup of coffee in Austrian coffee houses. Vacation in Austria is a chance to visit the homeland of the famous actor and current governor of California. He was born is a small village near Graz. The Austrian flag is more than one thousand years old and it is believed to be the oldest among current national flags. The highest settlement in Europe is situated in Austria. 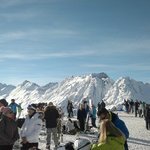 It is a village called Hochgurgl at the altitude of 2150m above the sea level. Passion for rich and tasty food is the reason why so many restaurants appeared and you can easily find one in any street. Moreover, delightful Austrian pastries are famous all over the world. You can buy them in coffee houses that are very popular among local people. Around ten years ago the archaeologists found a 5000-year-old frozen mummy on the territory of the country. The oldest Ferris wheel is situated in Vienna. It was built in the 19th century and its height is 65m. By today’s standards this Ferris wheel is tiny but the lovers of antiquity often buy last minute deals to Austriato take a ride on this Ferris wheel! Vacation in Austria. Places you need to visit. Vienna. Vienna is the capital of the country. It is not only the administrative but also cultural and historical centre. 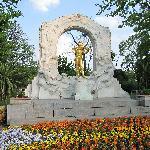 Vacation in Austria is an opportunity to visit Vienna where you can find plenty of great tourist attractions. The main places of interest are: the St. Stephen's Cathedral, the Schoenbrunn Palace, the Graben Street, the City Hall, the Austrian Parliament Building, the Burgtheater, the Albertina Gallery and many others. Salzburg. Last minute deals to Austria often include a stop in Salzburg, as it is a wonderful place for a vacation and educative walks. Here you should visit the Baroque Museum, the Salzburg Cathedral (founded in the VIII century), the Mozart’s Birth-House, Helburn Palaces with a magnificent park (here you can also find Trick Fountains), Salt Mines and many others. Innsbruck. Low budget vacation in Austria is a great chance to visit this beautiful resort town.. 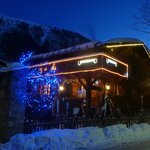 Here you can find an enormous ski resort popular with active people and sport lovers from all over the world. 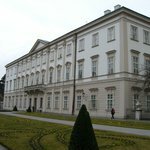 Here you can also visit the Ambras Castle founded in the XVI century. 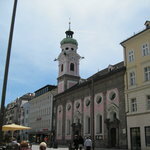 Our website can help you organize a low budget vacation in Austria. 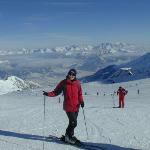 Traditionally the most popular are low budget vacations to ski resort in Austria. We think it will be helpful if we give you a list of the most popular ski resorts. They are: Kitzbuhel, Innsbruck, Baden bei Wien, Kaprun, St. Johann, Seefeld, St. Anton, Hintertux, Carinthis ,Pitztal, Gaschurn and others. Visit our website and vacation costs to Austria will be a pleasant surprise for you! !